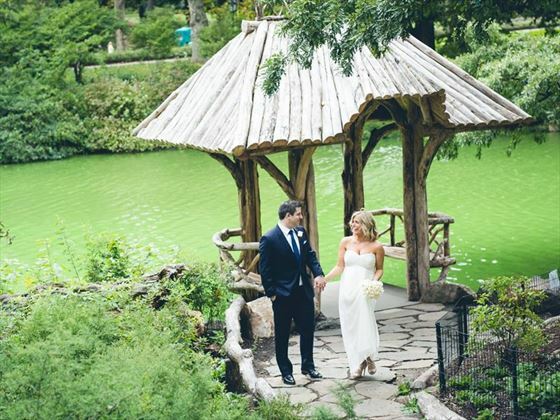 Central Park is a romantic and picturesque place to have a wedding. 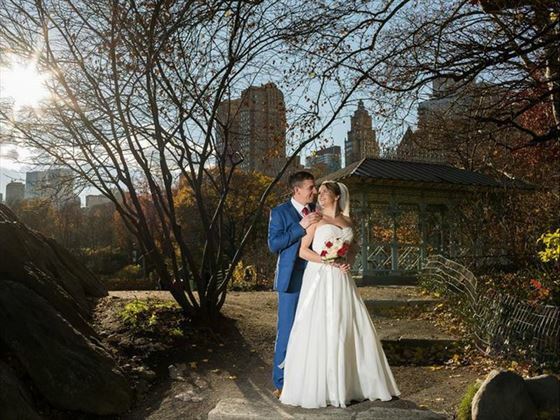 We offer all-inclusive Central Park Wedding and and Renewal ceremony packages, and can take care of everything from your permit to your flowers. Weddings performed Monday through Sunday, depending on availability (weekend weddings carry a supplement). Please advise if you have any guests attending as larger groups may incur a park fee. With incredible views of Manhattan and such a rich history, the Empire State Building is a wonderful attraction you won’t want to miss during your trip to New York. The 86th and 102nd floor observatories provide unforgettable 360 degree views of New York and beyond - and better yet, with American Sky you can skip the queues to these unsurpassable views. Two VIP Express Pass tickets to the Empire State Building are yours to use during your New York stay. 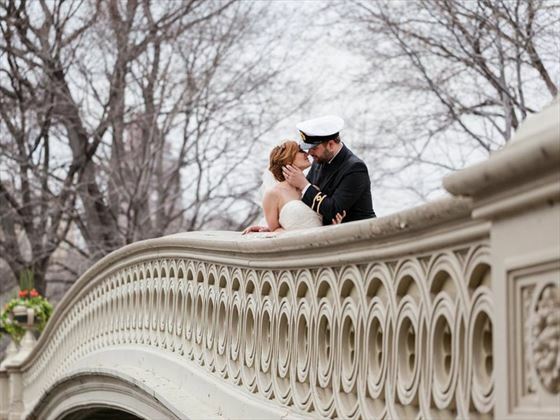 Open 365 days a year, you can top off your dream American wedding with a complimentary visit to one of the city’s most jaw-dropping attractions. Enhance your New York wedding day even further by taking advantage of the our exclusive wedding package add on to the Premier Wedding package with an additional 2 hour limousine trip to take the two of you around New York to some of the most famous locations in New York City including Times Square, Rockefellar Center and the famous Flatiron Building on 23rd Street. 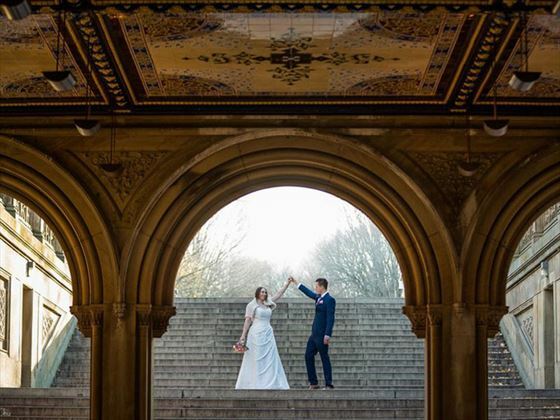 You will be accompanied by a photographer throughout your 2 hours to capture the two of you at these famous sites along with a bottle of bubbly for the journey! 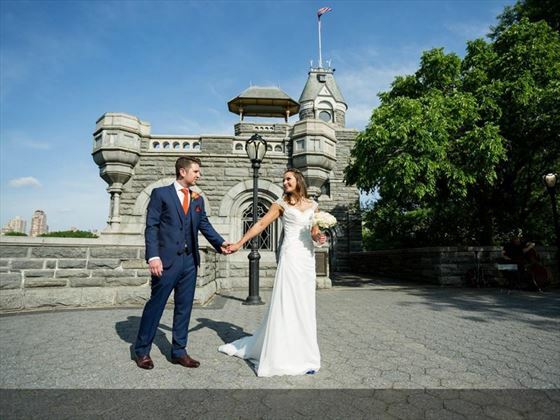 The New York Wedding Experience can be added to your wedding package from £1050. Alternatively, substitute your limousine for the Vintage New York Taxi Cab for just £1500 for the Wedding Experience. • Valid original 10-year UK passport which expires more than 6 months after the date of your return to the UK. • If you have been divorced, decree absolute. If divorced more than once, please bring all your original decree absolutes. • If you have been widowed, the original copy of your partner's death certificate. • If you were adopted, the original copy of your adoption certificate. We do not require any documents to be sent in advance. At least 24 hours before your wedding day you need to apply for a New York marriage licence. This is a very simple process which you can complete as a couple together. You will also have a pre wedding meeting with the New York Wedding Planner to go through all aspects of the wedding, including how to obtain your wedding licence. The meeting will normally take place at your hotel. You must both apply in person to the New York City Clerk’s Office, Marriage Licence Bureau at 141 Worth Street, New York City. The cost of the licence is included in your wedding package. 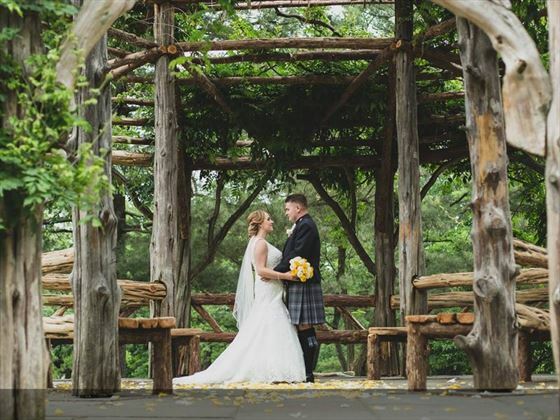 The City Clerk’s Office is open Monday to Friday (excluding Bank Holidays) and you need to have at least 24 hours grace period from obtaining your licence before the wedding day. These are three of our favourite hotels in New York which are ideal for a wedding or honeymoon, but there are plenty of other great options available to choose from - please call us for details.